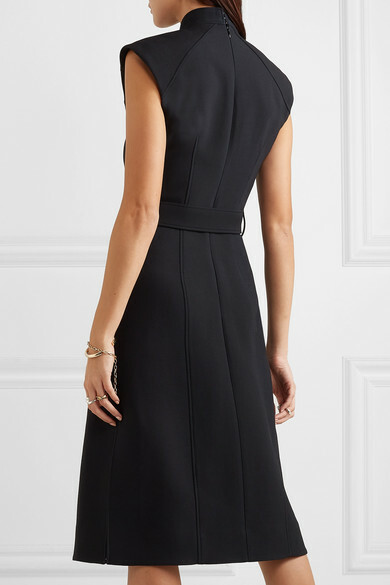 If you're looking to add a versatile black dress to your closet, Burberry's minimal design is a great place to start. 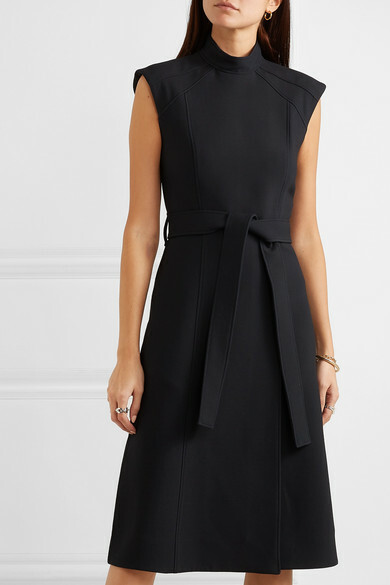 This modest style is balanced by a belted waist and sleeveless cut. 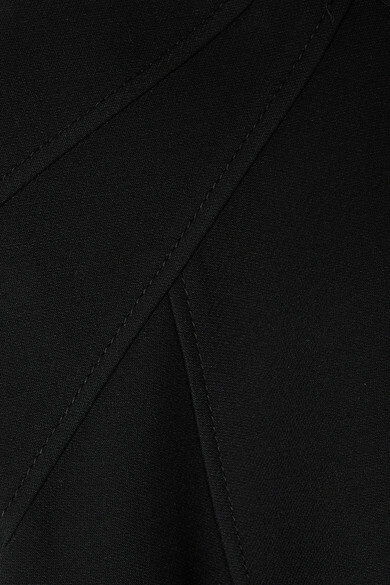 During the colder months, slip a blouse or fitted sweater underneath. Shown here with: Givenchy Shoulder bag, REJINA PYO Pumps, Sophie Buhai Earrings, Sophie Buhai Ring, Jennifer Fisher Ring, Kenneth Jay Lane Anklets, Paola Vilas Ring.